Customer complaints are inevitable in any kind of business. They are especially critical in the life sciences and general manufacturing industries, where customer complaints may indicate serious safety issues. In both FDA and ISO environments, complaints management handling is considered an essential part of the quality system and an important factor in ensuring compliance. Customer Complaint Management is a business strategy that enables organizations to get closer with their customers, to better serve their needs, improve customer service, enhance customer satisfaction and thereby maximize customer loyalty and retention. Imagic solution enables customer service representatives and complaint managers to initiate a complaint for a product or service coming from multiple sources like phone, fax, email, or the web. All crucial details and parameters about the product as well as the incident are captured. The system guides the user by dynamically enabling, disabling, mandating, or defaulting fields based on data being entered. Drop-down menus, logical validations, and auto-fill capabilities boost efficiency and ensure accuracy of information. Depending on the complaint parameters, it the case is automatically routed for investigation, response, and reporting. Notifications are sent to relevant departments and personnel and escalation mechanism is triggered based on severity and priority. Know your weak points, which product get problem on client. Automatic assignment based on CRM data. Automatically notify affected departments and personnel. Automatically load product, patient and customer information. This software manage Customer Complaint / Service Detail / AMC Detail. Send automatically email to department head. Reminder Popup automatically for complaint/ service/ amc due date. Send SMS to customer Complaint register confirmation. Send SMS to customer complaint complete confrmation. 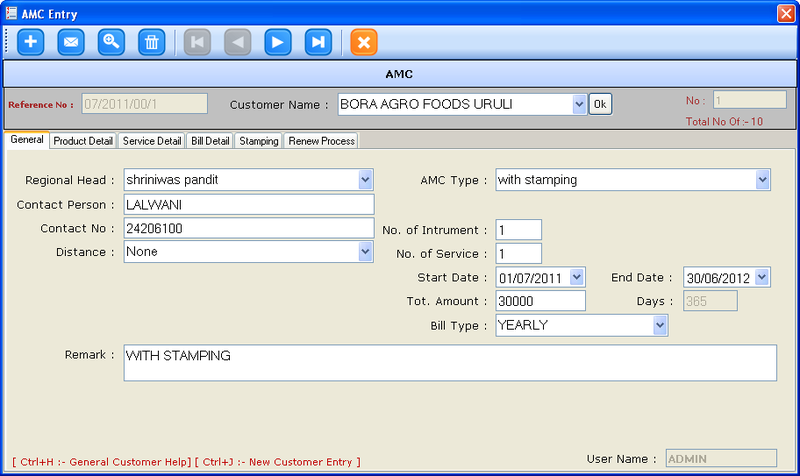 Provide Customer AMC Service Due Reports. Provide Customer Free service Due Reports. Send SMS to engineer for client address on site.